The FBM KLCI bucked the positive sentiment across global stockmarkets amid fresh weakness in crude oil prices ,coupled with the unabated foreign fund outflow as the key index closed 0.1% lower despite recouping most of its intraday losses yesterday. The lower liners closed mostly higher as the FBM Small Cap and FBM Fledgling added 0.7% and 0.2% respectively, while the broader market ended mixed. Market breadth was slightly positive as advancers nudged decliners on a ratio of 477-to-444 stocks. 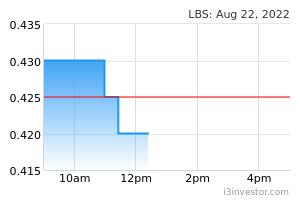 Traded volumes, however, fell 4.0% to 2.77 bln share on signs of profit taking activities. 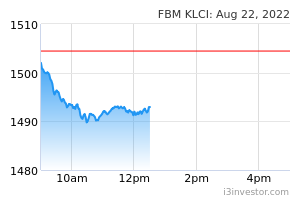 Key losers on the FBM KLCI were Press Metal (-11.0 sen), KLCC (-10.0 sen), Sime Darby Plantations (-10.0 sen), Petronas Dagangan (-8.0 sen) and Telekom (-7.0 sen). Significant decliners on the broader market were Dutch Lady (-70.0 sen), Rapid Synergy (-23.0 sen), Batu Kawan (- 18.0 sen) and Hong Leong Industries (- 18.0 sen). 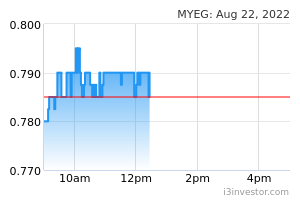 MyEG sank 17.5 sen after its contract for foreign workers Rehiring Programme will be terminated by end of June 2018. On the flipside, notable advancers on the broader market were BAT (+RM1.62), MPI (+50.0 sen), Panasonic (+46.0 sen), QL Resources (+28.0 sen) and Top Glove (+22.0 sen). Meanwhile, MISC (+18.0 sen), AmBank (+16.0 sen), RHB Bank (+16.0 sen), Petronas Chemicals (+12.0 sen) and IHH (+8.0 sen) topped the big board advancers list. Tracking the positive developments on Wall Street on last Friday, Asian benchmark indices rebounded as the Nikkei jumped 1.4% on gains in automotive and shipping companies. 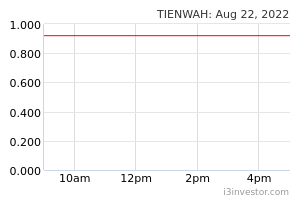 The Hang Seng Index surged 1.7%, while the Shanghai Composite (+0.5%) extended its gains. ASEAN indices, meanwhile, closed mostly higher on Monday. Wall Street advanced for the third straight session yesterday as the Dow climbed 0.7% to close at its highest level since mid-March 2018 as the impressive strength in its economy offset the concern over the prospects of a trade war. On the broader market, the S&P 500 added 0.5%, while the Nasdaq (+0.7%) closed above the 7,600 psychological level. Earlier, European benchmark indices – the FTSE (+0.5%), CAC (+0.1%) and DAX (+0.4%) all extended their gains as concern over political uncertainty in Spain and Italy calmed down. Meanwhile, the Eurozone’s Producer Price Index (PPI) rose 2.0% Y.o.Y in April 2018 – the slowest expansion since December 2017. Malaysian stocks appeared to have lost momentum yesterday after two sessions of gains to leave the key index to close in an indifferent mode. 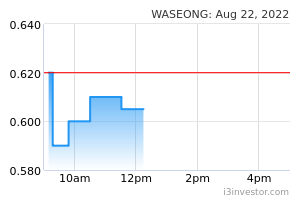 Follow through buying was also largely absent yesterday as bouts of selling by foreign funds tempered the upsides. As it is, the market is finding it difficult to sustain a meaningful recovery as gains are met by the continuing foreign selldown, a trend that has continued since the conclusion of GE 14 amid concerns over the country’s fiscal position under a new government. Therefore, we think the key index’s gains will remain difficult to come by despite the continuing positivity in many global indices as the upsides could be met by the continuing foreign selling. Under the prevailing environment, we think the market could instead trend sideways and potentially build up a base around the 1,750-1,770 level. At the same time, there are few noteworthy domestic leads for market players to follow with the recently concluded results reporting season still showing weak earnings growth. The lower liners and broader market shares, meanwhile, may have found support after their prolonged weakness spell, but with fresh buying still elusive the upsides will continue to be measured for now. My E.G. Services Bhd (MyEG) has clarified that the news articles which appeared to insinuate the termination of an ad hoc rehiring management contract related to the illegal foreign workers in Malaysia were inaccurate and misleading, as the project adhered to its existing prescribed deadlines. To recap, the group had received a notification letter from the Home Affairs Ministry in relation to the extension of the project until 31st December 2017 instead of 15th August 2016. 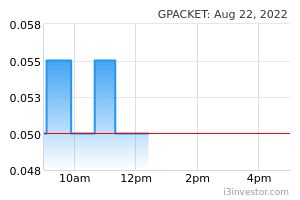 Green Packet Bhd aims to return to profitability this year, driven by growth in its core business of solutions and communications. The group is targeting a double-digit growth for its 2019 turnover and earnings which will be driven by new, as well as existing businesses. 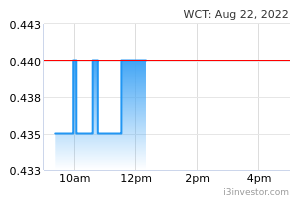 WCT Holdings Bhd has aborted its proposal to grant share options to its Independent Non-executive Directors after considering feedback received from shareholders and stakeholders as well as the Independent Non-executive Directors. 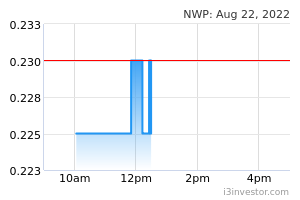 LBS Bina Group Bhd has an alternative plan for its development project in Zhuhai, China although the jointdevelopment deal with NWP Holdings Bhd did not materialise after both parties failed to come to an agreement with regard to certain terms in the Definitive Agreement.